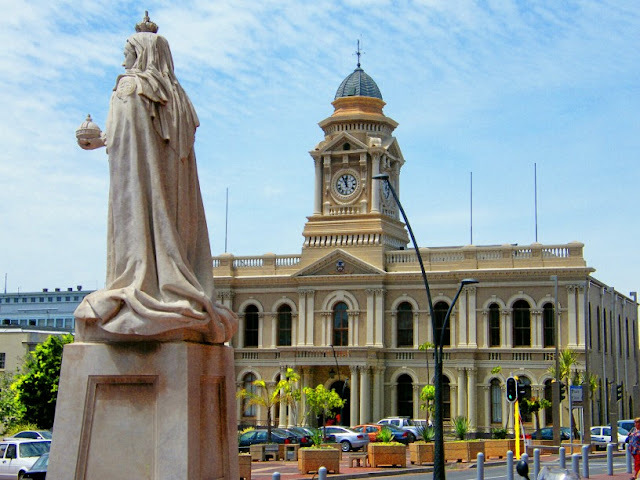 The view towards the Port Elizabeth City Hall from the entrance of the Main Public Library with the statue of Queen Victoria in the foreground. 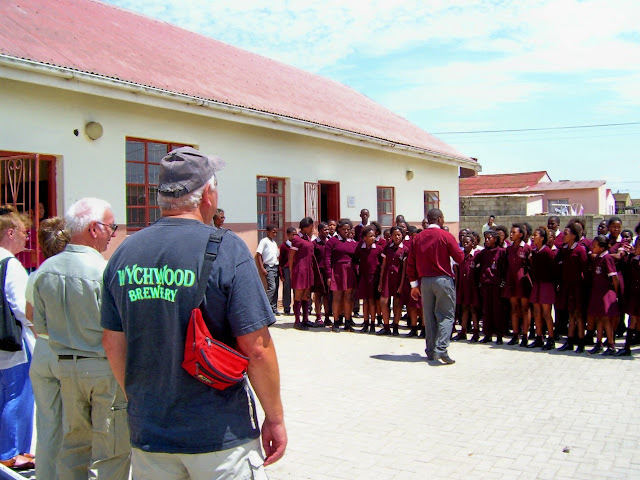 Most of the tour operators doing township tours have projects that they support. Somewhere along the tour they would stop at a school, creche or feeding scheme for a visit. A portion of the tour's income also gets donated to that specific project. Most of the time the tourists would also open their hearts and wallets and in this way many worthy projects in the townships keep afloat. Here a group of tourists are listening to the New Brighton SDA Primary school choir. 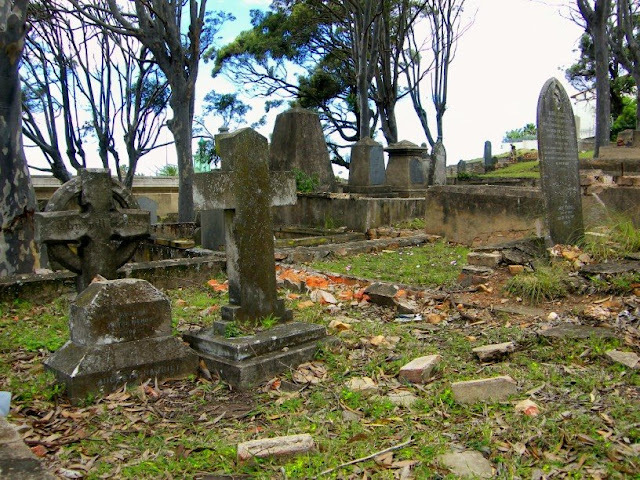 The St Mary's Cemetery is probably the oldest formal cemetery in Port Elizabeth and can be found close to the city centre. 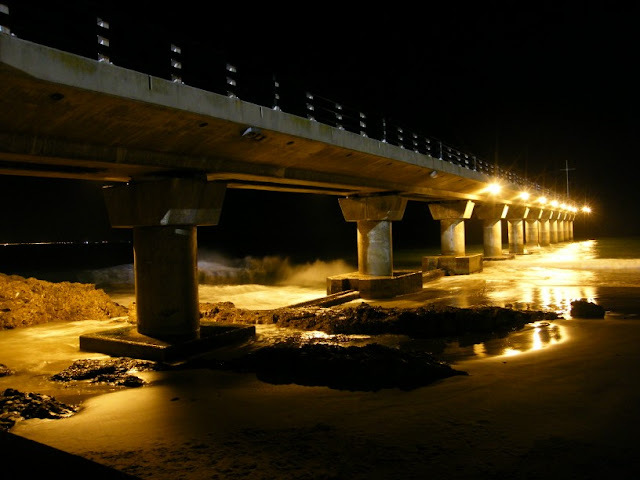 It is situated near the mouth of the Baakens River on the banks of what used to be the fresh water lagoon after which Algoa Bay was named. I did a post in The Firefly Photo Files a little while ago with some more pictures of the cemetery. The Campanile was built and completed in 1923 on the landing beach where the British Settlers landed in 1820 in commemoration of the centenary of their arrival. 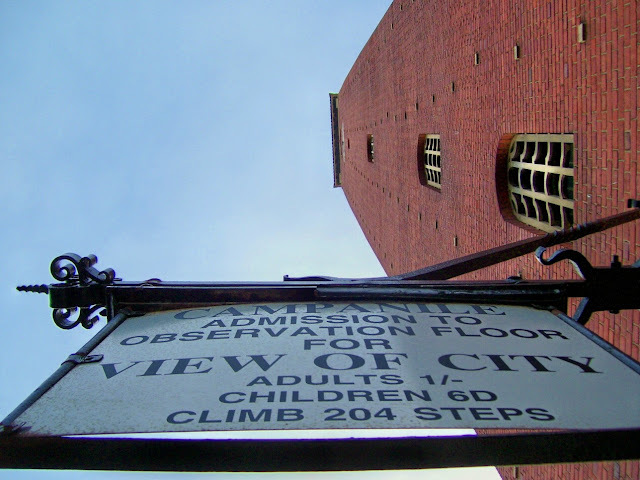 The tower is 51.8 meters high and has 204 steps to the top. It also has a carillon of 23 bells. Unfortunately it was cut off from the city by the construction of the Settlers Freeway, but there are plans to develop a Freedom Walk from the Campanile to the Donkin Reserve. Unfortunately the sign in the picture has disappeared a while ago, probably at the hands of thieves who have sold it as scrap metal. But we won't go into that now. For more unbelievable Skywatch picture from all over the world, follow this link. A little while ago I got to go on the Sundays River Ferry in Colchester. The ferry trip takes you up stream to the old bridge and then down towards the river mouth where passengers can get off and climb the giant sand dunes. There is a magnificent view from the top of the dunes. I will post a pic of this at another time. 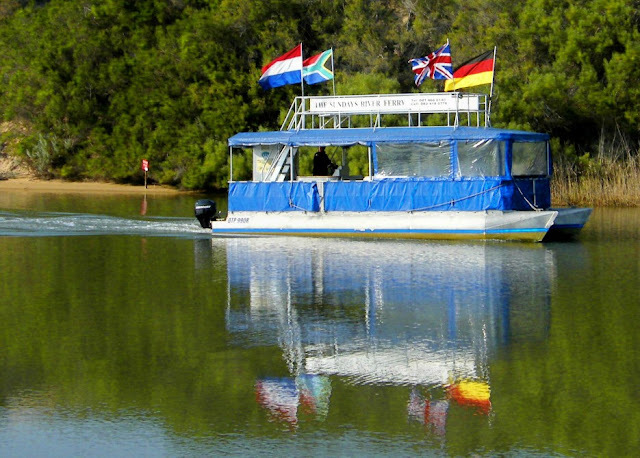 During the trip hosts Les and Maggie will entertain passengers with a wealth of information about the river, the area and the nearby Addo Elephant National Park. Evening shot of Shark Rock Pier at Hobie Beach. 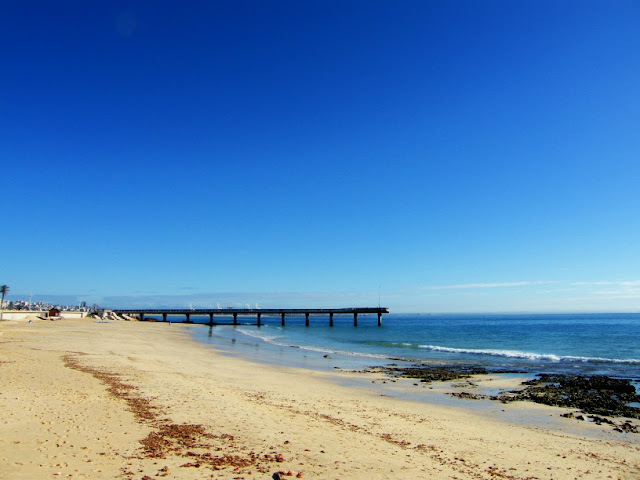 The pier is quite a popular spot and is situated next to Hobie Beach which is a blue flag beach. The Boardwalk Casino and Entertainment Complex is just across the street and the popular beachfront promenade leads right onto the pier. A little while ago I found a web cam overlooking Hobie Beach with the pier in the back ground. Have a look at it here. 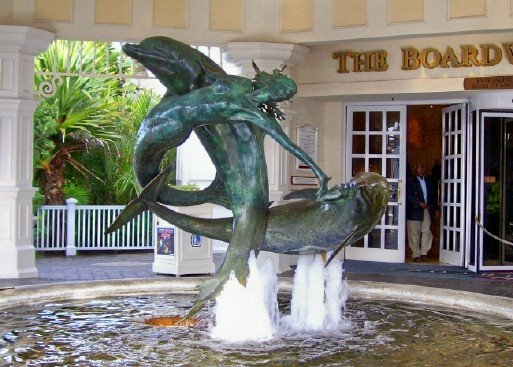 The fountain at the entrance to the casino in the Boardwalk complex has a feature with a mermaid and two dolphins in it. Right from the start people started to throw money into the fountain and every now and then the fountain gets cleaned out and the money donated to a charity. The casino licence is currently up for renewal and except for the Boardwalk there is one other casino licence bidder. It will be quite interesting to see what the outcome of the bidding will be. On Saturday we stopped at Walmer West Primary School just down the road from us to watch a bit of primary schools rugby. They were having a sports day and various schools were playing both rugby and netball against each other. As we got there the under 13 teams of Walmer West Primary in the blue and Excelsior Primary on the orange and green took to the field. The boys in the Walmer West team was a lot bigger than the Excelsior boys, but the boys in orange never stood one step back for the boys in blue. Walmer West did end up as visitors on the day. The days when I was involved in schools rugby came back to me. Parents running up and down the side of the field shouting their lungs out, the know it all puffing away on his cigarette criticising every call the ref makes and the girls marching around trying to catch the eyes of the boys and then being disappointed when the boys are so focused on their warm-ups that they don't even notice them. I am a regular blood donor and try to go and donate at least four times a year. 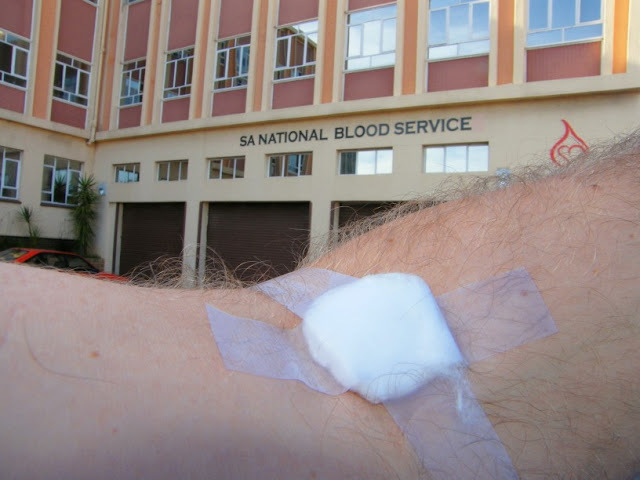 I headed down to the SA National Blood Service Head Office next to the Provincial Hospital this morning with the family in tow. Chaos Boy wanted to see how I donate blood. The SANBS does a project with schools where they encourage high school pupils to donate while encouraging the primary school pupils to get their parents to go during a specific month. Chaos Boy's school had their month a couple of months ago and since then he's been wanting to go along to see what happens. How ironic it was when I saw a link that Jeanette posted on Facebook relating to the subject and its importance. It was from The Three Ring Circus. The Post in question can be found here, but more importantly a link to her speech on Why you should donate blood. The South End Museum on the corner of Beach Road and Walmer Boulevard is housed in the old Seamans Institute Building and remembers people and places of South End. South End was destroyed by the Apartheid Government after its people were displaced in 1965 following the implementation of the Groups Areas Act. 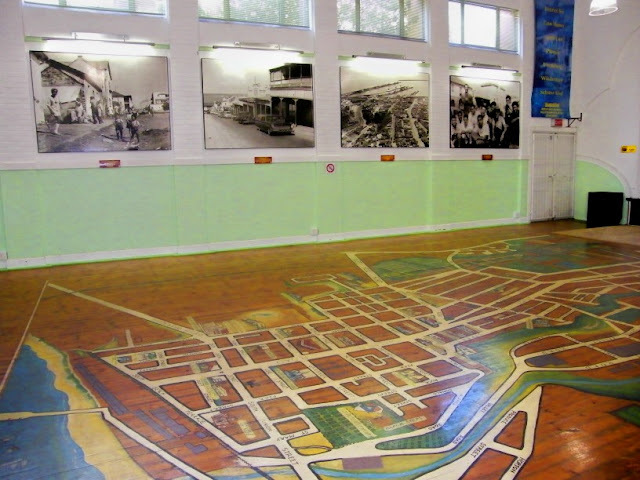 On the floor of the one exhibition hall visitors will find a map of old South End laid out on the floor with pictures of the area along the walls. 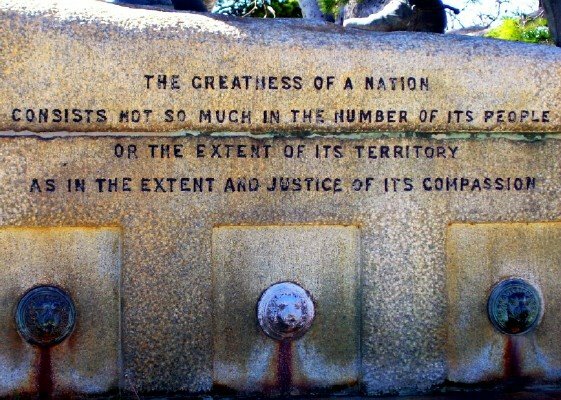 The inscription on the Horse Memorial which was erected in memory of all the horses and mules which died during the Anglo Boer War. With autumn settled in and winter sneaking in through the back door, it also means that temperatures are dropping and beaches are becoming deserted. I took this pic down at Hobie Beach a week or so ago on a Sunday morning. Although there were quite a few people taking walks and cycling along the beachfront promenade, the beach was visibly empty. 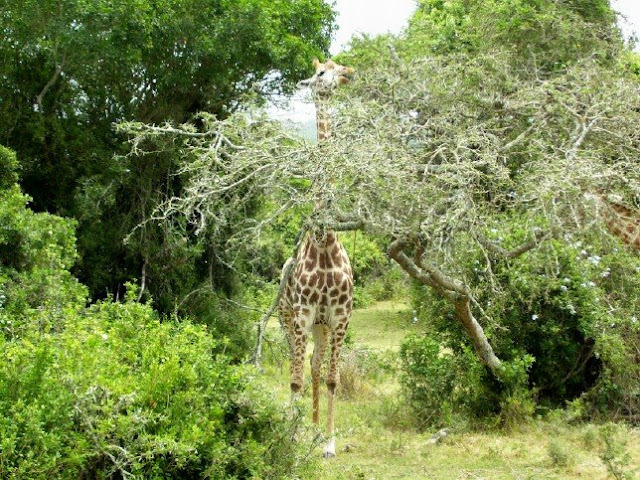 A giraffe at the Seaview Game and Lion Park just outside Port Elizabeth eating off the top of a sweet thorn tree. We took the kids to Bayworld today in celebration of International Museum Day. Bayworld consist of the Port Elizabeth Museum, Snake Park and Oceanarium. On today's visit we just went to the first two, while the latter will have to wait till another day. Every time I go to the museum I notice how little things have changed since my school days when we used to go there quite often, either on school trips or as a family. Chaos Boy likes everything that I used to (and still) like. The dinosaur hall, the ship wreck hall and the marine hall. 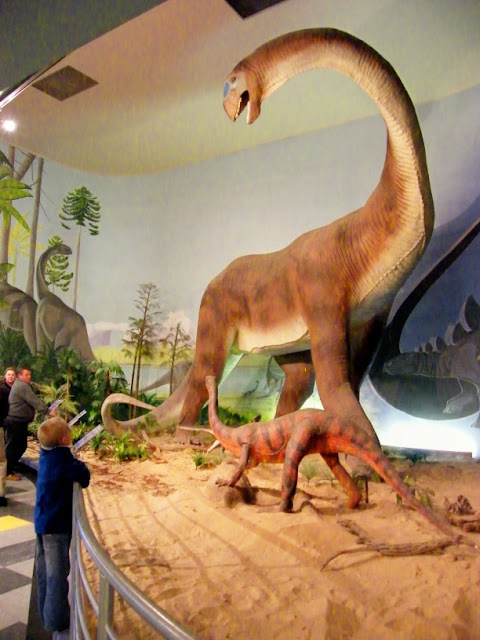 The big dinosaur always used to be my favorite thing in the museum and quite clearly its his as well. 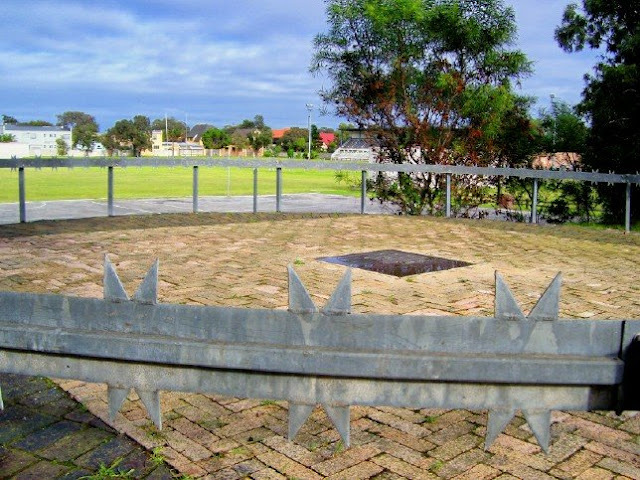 On Thursday I did a post on the Concentration Camp Memorial in Port Elizabeth and mentioned that there is one outside Uitenhage as well and that I will post a pic of it at a later stage. If I have to leave it till later I will probably forget about it, so here it is. The memorial can be found at the show grounds just north of the town. 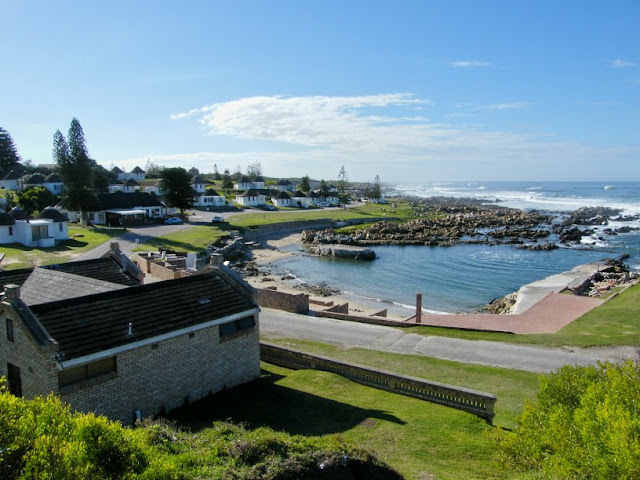 The Willows is a legendary resort on Marine Drive close to Schoenmakerskop and generations of Port Elizabethans have spend weekends and holidays there. It was upgraded a couple of years ago and is a top class resort. The resort has self-catering chalets and a very nice camping area as well as conferencing facilities. Facilities for holiday makers include tidal pools, a super tube, volleyball, a games room and much more. During the Anglo Boer War (1899 - 1902) the British had two big concentration camps in Nelson Mandela Bay. One was erected at Kemsley Park in Port Elizabeth while the other one is situated on the current show grounds just outside Uitenhage. On both of these sites there are memorials remembering the mostly women and children who suffered and died in these camps. The pic is of the memorial at Kemsley Park next to the SAPS sports grounds. 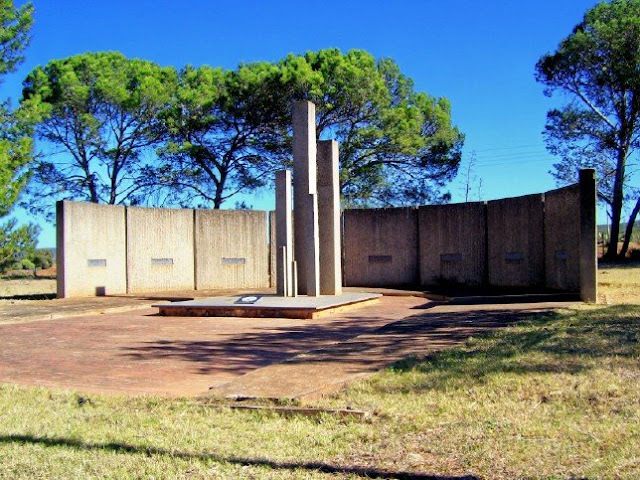 I will post a pic of the Uitenhage memorial on another occasion. Did you know: The Anglo Boer War was the first time in history that concentration camps were used. 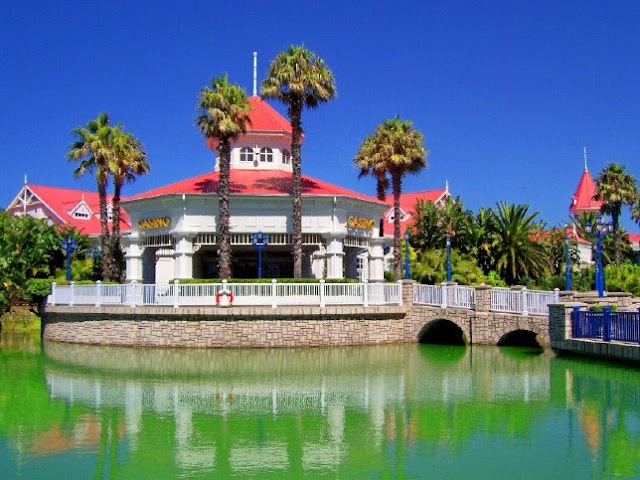 The Boardwalk Casino and Entertainment World is the premier entertainment centre for all ages in Port Elizabeth. 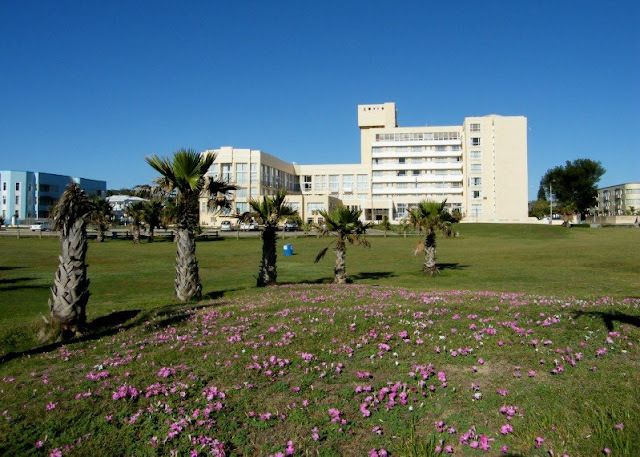 Overlooking the beautiful beaches of Port Elizabeth, the open-air complex houses a Sun International Casino, multi-cultured restaurants, fast food outlets and entertainment that surround a man made lake. This pic was taken looking at the casino entrance from the restaurants across the lake. 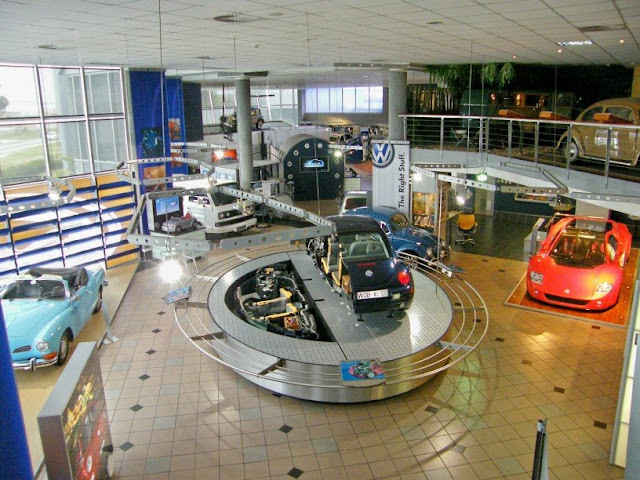 The VW AutoPavilion is Uitenhage's most popular tourist destination. It has a great display of VW related stuff, including an interactive "movie studio" beetle with green screen technology, the Nardo W12 Top Speed Endurance World Record car, a collapsible Beetle sliced in half, SA's oldest combi and more. The museum is situated at the VW factory on the outskirts of the town and his well worth a visit even if one is not a car enthusiast. 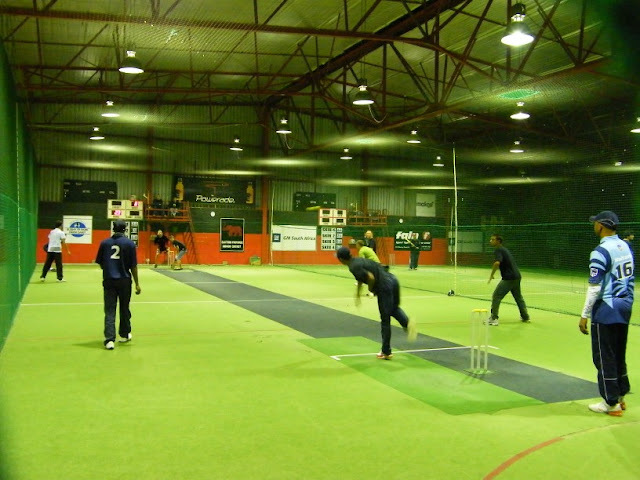 Action Cricket is a very popular past time and played by both men and women. 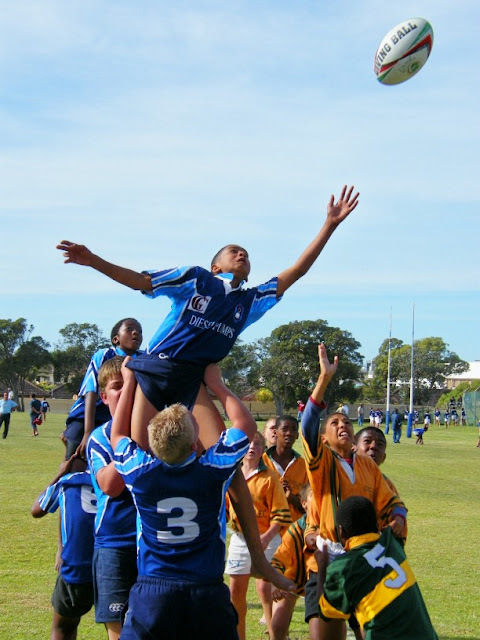 In Port Elizabeth there are four leagues (seasons) a year and about 80 teams taking part in each competition. I started playing about a year ago and is currently playing for the Night Crawlers in one of the lower leagues. We are very much a social team and not that good, so its as much about the fun than it is about the competition. Plus the fact that it is probably the only exercise that most of us get. 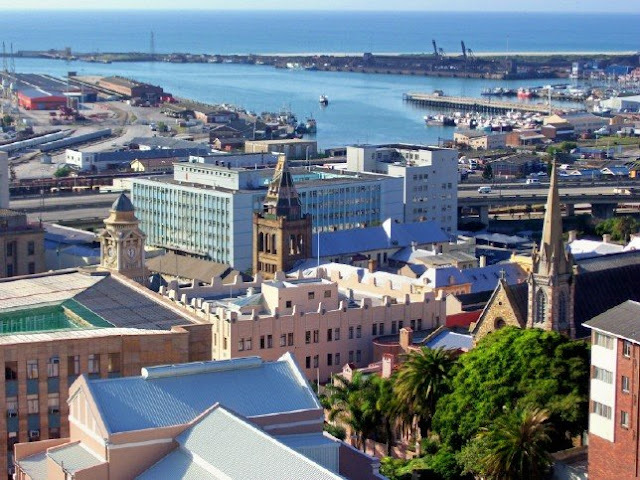 Central is the oldest part of Port Elizabeth and in the old days was known as The Hill. 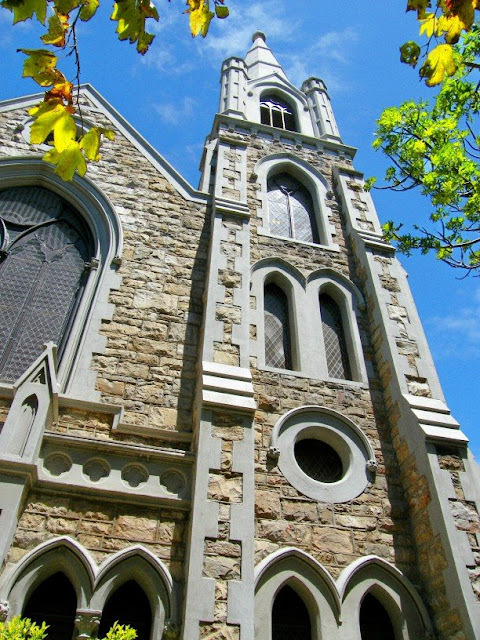 There are many historic buildings around Central, but some of the most beautiful old buildings are the stone churches of which there are many littered throughout the area. This one is the St Johns Methodist Church. 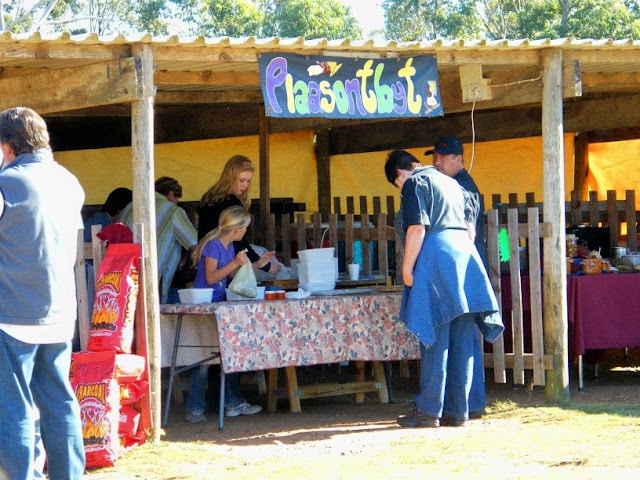 Every Saturday there is a Farmers Market at the Van Stadens Dutch Reformed Church in St Albans west of Port Elizabeth. You will find everything from fresh vegetables to home made biscuits and knitted toys. The most popular stall must be the one selling farm breakfasts. Bacon, egg, sausage, onions and toast for R20. A real bargain. If you don't feel like bacon and eggs, try the sosatie rolls at the stall next door. Yum! 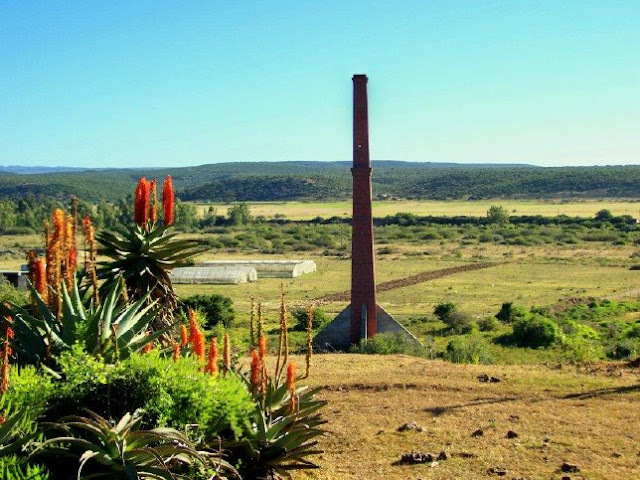 The brick chimney was built in 1882 and was once part of a flourishing brick works. Bricks were "dispatched" or rather "despatched" from here along a railway siding (later known as "Hitler's Halt") to Uitenhage and Port Elizabeth. Many of the older buildings in PE and Uitenhage were built with these bricks. When a town was developed in 1942, the name Despatch was chosen. Despatch became a municipality in 1945 and as everybody knows, today forms part of the Nelson Mandela Bay metropolitan municipality. Sadly the brick business in Despatch is now a remnant of the past. The brick chimney can still be viewed standing tall and serene in a field on the outskirts of town alongside the railway line. Ask anybody in town if you can't find it. They will point you in the right way. 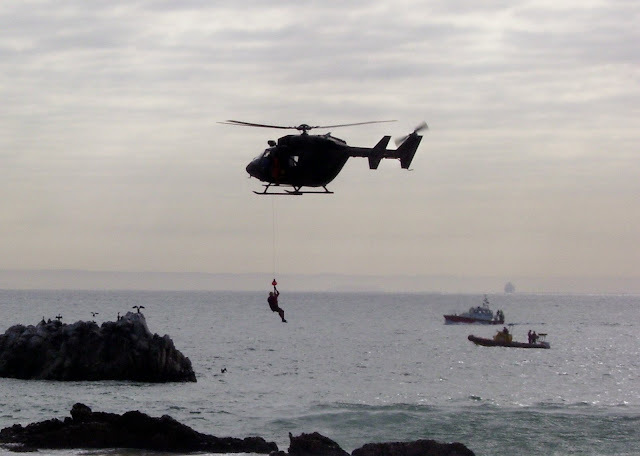 The National Sea Rescue Institute is for South Africa what the Coast Guard is for the USA. The difference? The NSRI is purely a volunteer organisation. 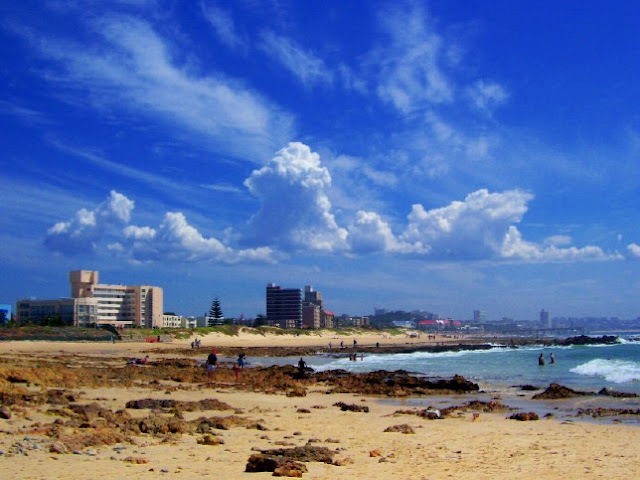 Port Elizabeth is services by Station 6 which is situated in the Port Elizabeth Harbour. I feel the the volunteers of the NSRI are amazing guys and gals. They are divided into crews and each crew is on duty for a week in a month. This means that they are on standby 24 hours a day and will drop anything when the call for help comes through. They also give up their whole weekend during the duty week to man the station and do whatever is needed there as well as essential training. Here one of the crews are busy with a training session at Bird Rock just off the beachfront with one of the Defence Force helicopters. 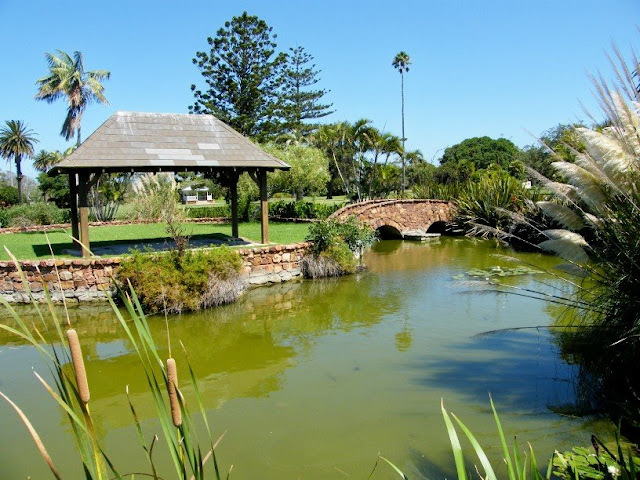 Victoria Park is situated in lower Walmer close to South End and is one of the "lesser known" big parks around Port Elizabeth. I say lesser known because I can bet that most people living in the city has never been there. I went there for the first time myself not too long ago and really enjoyed the park. Its big and open so the chance that there are unsavory characters hanging around is very small and if they are you will see them coming a long way. There are big grassy areas and a couple of ponds with water lilies on them. Every year there are a couple of concerts in the part, most notably the Eastern Cape philharmonic orchestra annual concert in the park. The view from the Donkin Reserve looking towards the Port Elizabeth harbour. The building in the left bottom is the Opera House. There are three towers visible. From left to right they are the City Hall, the Old Post Office and St Augustine's Catholic Cathedral. The building with the little pointy bits along its edge is Plein Huis. 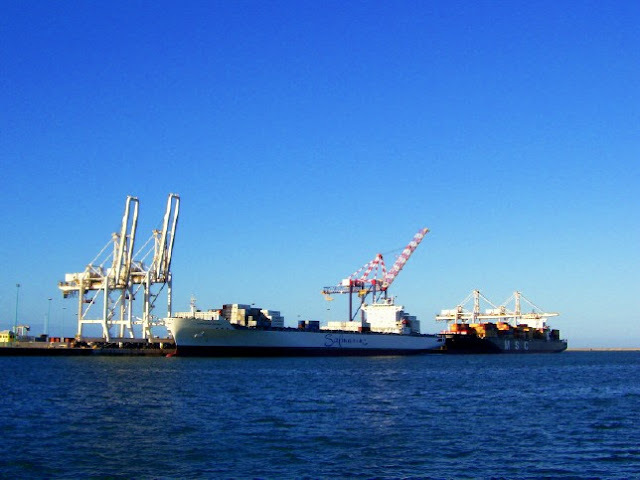 A couple of container ships lying at berth in the Port Elizabeth harbour. The PE harbour was built in the 1930's and is the 5th largest harbour in South Africa after Durban, Cape Town, Richards Bay and Saldanha Bay. The new industrial harbour at Coega will take over certain functions that is currently being done in the Port Elizabeth harbour, but it won't replace it. One of the things it will be able to do is to take ships that are a lot bigger than what the PE harbour can currently accommodate. 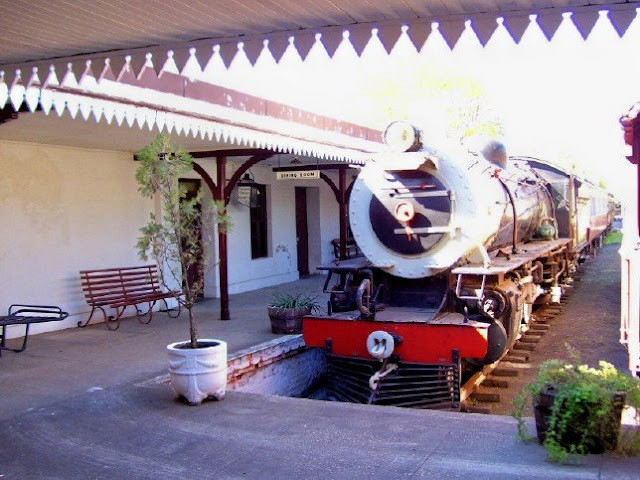 Built on Market Street in Uitenhage in the year of the opening of the railway from Port Elizabeth, Uitenhage's Old Railway Museum is reputed to be one of the oldest railway stations in the country. The museum is quite quaint and has two vintage locomotives, a variety of coaches and lots of period furniture and equipment. The whole museum captures the atmosphere of the early days of steam with the building housing a residence, waiting room and tea room in addition to the station office. You can also learn more about the part Jack the baboon played in the early railway days in Uitenhage. The museum is slightly run down due to lack of funds and staff, but is worth a visit by railway enthusiasts. This morning the Spar Ladies Race took place on the beachfront. It consist of 5km and 10km races. 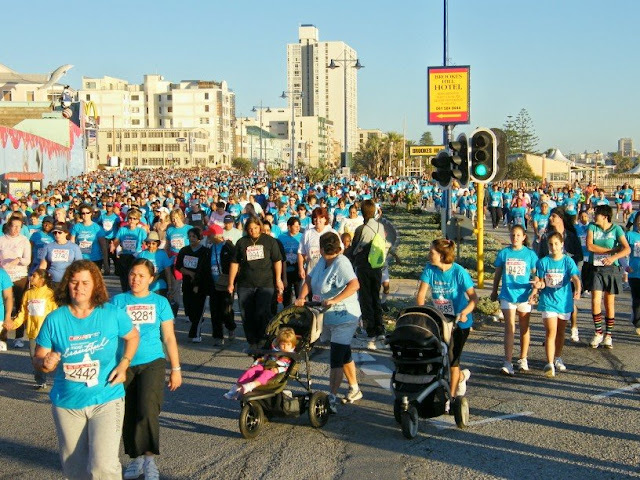 The Port Elizabeth leg of the race is one of the biggest in the country with nearly 10 000 entries. Most of the participants take part in the 5km which is mostly a fun walk with big and small as well as young and old taking part while the 10km is a much more serious race with some of the best runners in the country taking part. The race is only open to ladies, so men wanting to take part has to dress up in drag. For more pics, visit The Firefly Photo Files. I saw these little pink flowers growing on the grass on the sea side of Marine Drive across the road from the Marine Hotel the other morning. They were only on this one patch bordered by the little palm trees and it kind of looked like Spring got stuck in between the trees and never left.